This is Thomas Jefferson’s basic argument for why IP is not property. Jefferson outlines the properties of a Public Good when describing IP. This basic argument is one of the strongest foundations for arguing against trying to regulate IP with free markets since IP is not a private good. In essence we are using the law to redefine the basic nature of copyrights and patents. Edit: fixed link to letter thank to reader feedback! Magnatune is a Creative Commons licensed music site that allows you to listen to all their music streaming online for free. If you like the music you can purchase music CD's or download MP3's for for a price of your choosing. Many advocates of strong All Rights Reserved(ARR) copyright claim that ARR copyright is need to help new artist make a name for themselves. Distribution models like Amie Street and Magnatune are challenging this assumption head on. They have a portion of the site dedicated to Why They are Not Evil. Musicians get paid: 50% of your purchase price goes directly to the musician, not to labels and their lawyer. No DRM: No copy protection (DRM), you can do what you like with your music, unlike iTunes and Windows-media based web sites. Freedom for IP greatly respects the work done by Magnatune and encourages the development of new business models in the music industry to appropriately reflect our technologically advanced culture. Look at the great features on the front page search for case, Supreme Court case, Laws and Code. Since Westlaw purchased Findlaw it has been striped of utility and litterd with obtrusive advertising. WestLaw has even locked some of FindLaw's content behind logins. That is just what we need, our privacy striped away when viewing law. FindLaw has become an advertising service with limited functionality and atrocious usability. This is not the quality of external link Wikipedia is known for. Legal contributors to Wikipedia should serious consider other options before linking to FindLaw. The best alternative for case law right now is AltLaw.org. A free service from Columbia Law School’s Program on Law and Technology, and the Silicon Flatirons Program at the University of Colorado Law School. Has Westlaw learned nothing from Google? In purchasing Findlaw, WestLaw had an opportunity to provide an amazing service to the public, free accessible case law and code, but they have blown it, with too many ads and too little useful information. Vote against Findlaw online, remove your links and send a message about quality online. FFIP will be removing Findlaw from our links page. Many of the broad claims in this patent were invalidated on October 9th 2007. Pat number 5,960,411. The USPTO went well beyond the original request to review claims 11, 14, 15, 16, 17, 21 and 22 and rejected claims 1-5 and 11-26. This is a powerful reexamination on obvious web processes. It looks like we need to update our Case law page. With private citizens, Public Patent Foundation and EFF all submitting requests for reexamination it beg the question it ask how tough is it to get a bad patent. Do we really want a system that where reexamination is only balance? I am curious to see if peer-to-patent will change this trend. "World Intellectual Property Organization (which bears the same relationship to bad copyright law that Mordor has to evil in Middle Earth)"
I just finished doing NTEN's online survey for 2008 NTC Agenda. I was surprised to not see a single topic or part of a topic that dealt with online copyright issues. When distributing information online ones IP strategy should play a central role in letting users know what they can do with your content and what happens to their contribution. SecondLife, Myspace, Wikipedia, Flickr and YouTube all have different ways of controlling and enabling distribution through IP choices. I would love to run a session on using Creative Commons and alternative licensing of intellectual property to reach more constituents and more people in need. Using a culture of sharing as a form of distribution can empower your IP to work for you. If you are attending NTC this year and would find a copyright session useful please let NTEN know. This week CBS, Disney and Viacom among other(who I call media middlemen) drafted and published "Principles for User Generated Content Services." They want to require "Identification Technology" be used to limit your rights on User Generated Content sites (UGC's.) Identification Technology is notoriously bad if not entirely unable to identifying Fair Use. Beyond the obvious fair use problems which are explained in more detail by Kevin Donovan at Student for Free Culture. I am also bothered that the principles request that UGC's to for keeping record on their users and turning them over to Media Middlemen if a take down occurs or if content is filtered by . Users privacy rights should be protected at least until there is a court order. UGC's should be protecting users from baseless litigation and threating settlement letter by anonymizing user specific data like IP's not handing it over to sue happy companies with lawyers that make predatory lenders look like your friend. "10. Consistent with applicable laws, including those directed to user privacy, UGC Services should retain for at least 60 days: (a) information related to user uploads of audio and video content to their services, including Internet Protocol addresses and time and date information for uploaded content; and (b) user-uploaded content that has been on their services but has been subsequently removed following a notice of infringement. UGC Services should provide that information and content to Copyright Owners as required by any valid process and consistent with applicable law." UGCs should refuse to use Identification Technology until it effectively identifies Fair Use 99.9% of the time. Other wise identification technology will just be a censorship tool that prevents us, real users from exercising our first amendment rights. "The paradox is that the current [copyright] law is so expansive and extreme that the very firms that first sought it cannot even make use of it. Nor would they want to. In a well-functioning political system, the copyright law might be reformed in a grand negotiation between all interested parties, with the long-term goal of separating out the harmful infringement from the harmless. But in 21st-century America, that's not a result our political system is capable of reaching. And that's why, here as in the rest of the series, we leave it to tolerated lawbreaking to find some way out." PS his about me page on his personal website is under a PD no rights reserved. I have to respect that! Defective by Design has started a mail in campaign to let Netflix know that people are unhappy with the DRM in there streaming content video on demand. The best part of the campaign is the mini letters they provide for people to send, when one sends back ones netflix dvd's. The letters are cute, well worded and to the point! This is not as cool as their amazon campaign to tag products with DRM as "defective by design" but it is good. Download your own Anti DRM Netflix min letters. More information on this campaing is avilable here. Two weeks ago I meet Keith Sawyer at the Lewis and Clark CLE on the nonobviousness standard for patents. Keith was a great speaker and added some very interesting perspectives on creativity from the field of psychology, more CLE's should be interdisciplinary. I recently found out that Keith is involved in an interesting research project on Improvisation, Community, and Social Practice. · Assessing claims made for the social and cultural impact of improvisation and exploring improvisation-based models for social responsibility and action. The project appears extremely interesting since it is cross disciplinary with a focus IP and multiculturalism. I look forward to learning more, especially when they have project website and blog available. There are several local organizations that are actively fighting against draconian copyright, patent and trade secret laws to restore some balance to the system. SU Law is dedicated to social justice and the accessibility of the law to everyone in society. The local free culture chapter is working to bring a social justice and public interest perspective to intellectual property issues through education, outreach and activism. Freedom for IP is a small volunteer-run organization that works to limit intellectual property whenever it comes into conflict with the public good or Human Rights. They advocate for taking action by freeing ones own content, using freedom of speech and fair use and sometimes even civil disobedience to change the system. The Technology and Liberty Project aims to ensure that government and business respect civil liberties principles in decisions made about technology and privacy. CopyNight is a monthly social gathering of people nationwide interested in restoring balance in copyright law. We meet over drinks once a month on Capitol Hill in Seattle to discuss new developments and build social ties between artists, engineers, filmmakers, academics, lawyers, and many others. If you want to be involved in the copyfight to please join the above organizations and start standing up for the rights of everyone against monopolistic interests that are abusing the rule of law, slowing innovation and quashing criticism. The Seattle PI made two blog posts regarding Seattle Student for Free Culture last week. The discussion related to the recent RIAA suits and the local copyfight at Seattle University School of Law and at University of Washington. It appears that SU Law is acting to Free Culture while UW has not taken action yet. This is surprising considering both the RIAA suits at UW and UW's recent speaker of Brewster Kahle and up coming speech from Larry Lessig. Where are the librarians and the Ischool in the fight to open up access to all knowledge? I recommend checking out the articles, I will be reposting here the comment we made on how to get involved in the copyfight in Seattle. Disclosure: I am the student leader behind SFFC at Seattle Univerity Law and a Graduate of University of Washington. Huge props to Michelle Murrain and NOSI! Community ownership of software is also in itself consonant with the missions of many nonprofit organizations, whose role is in strengthening community. By using tools that are owned by everyone, you know that you aren't building your work in a way that depends on or benefits any one corporation or institution, but building your work in a way that benefits everyone. This is a well written and well researched opus that will benefit the nonprofit community hugely in the years to come. Bravo! Last week New York Times' ran a great article on the new Dell Linux laptops. The interesting part of the article is that it not only pointed out the drawbacks to a Linux including the fact that the new Dell machines do not play DVDs out of the box, but also walked users through the process of enabling the DVD drives that come with the computers to play DVDs. US users acting on these directions may return some balance to the the market for Operating Systems(OS's). Microsoft and Apple have been using standards and proprietary drivers to lock users into using their OS's in a practice that is anti-competitive and harmful to consumers. Civil disobedience may be our only tool for asserting users preference and preventing monopolies from controlling users in a democratic system where the legislative process is being controlled by the deep pockets of said monopolies. Civil disobedience is working to bring down the price of music online and remove DRM it may work here too. One challenge for Linux users is finding media players that work with encrypted music and DVDs. Ubuntu comes with a movie player, but it is not automatically configured to play copy-protected commercial DVDs. To watch a movie, the Linux user must install necessary codecs, or decoders. One way to do that is to first download a program called Automatix from www.getautomatix.com. When you run that program you get an ominous warning that downloading and installing "non-free codecs without paying a fee to the concerned authorities constitutes a CRIME in the United States of America." Users in the United States are advised: "please do not install option AUD-DVD." Users who ignore that legal warning can then configure Ubuntu to play commercial DVDs. Full article from NY Times. Image from NY Times, edited by Brian Rowe. and scholars all over the world-is a reality. librarian. Kahle graduated from Massachusetts IT in 1982 with an SB degree in Computer Science & Engineering. develop the WAIS system, a precursor to today's internet search engines. Title: Is Google (2008) Microsoft (1998)? Location: in room 130 of Kane Hall. Lawrence Lessig is a Professor of Law at Stanford Law School and founder of the school's Center for Internet and Society. Prior to joining the Stanford faculty, he was the Berkman Professor of Law at Harvard Law School, and a Professor at the University of Chicago. He clerked for Judge Richard Posner on the 7th Circuit Court of Appeals and Justice Antonin Scalia on the United States Supreme Court. Professor Lessig represented web site operator Eric Eldred in the ground-breaking case Eldred v. Ashcroft, a challenge to the 1998 Sonny Bono Copyright Term Extension Act. He has won numerous awards, including the Free Software Foundation's Freedom Award, and was named one of Scientific American's Top 50 Visionaries, for arguing "against interpretations of copyright that could stifle innovation and discourse online." 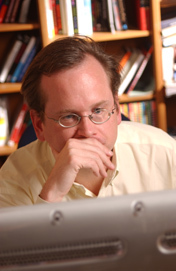 Professor Lessig is the author of Free Culture (2004), The Future of Ideas (2001) and Code and Other Laws of Cyberspace (1999). He chairs the Creative Commons project, and serves on the board of the Free Software Foundation, the Electronic Frontier Foundation, the Public Library of Science, and Public Knowledge. 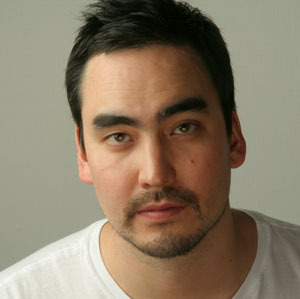 He is also a columnist for Wired. Professor Lessig earned a BA in economics and a BS in management from the University of Pennsylvania, an MA in philosophy from Cambridge, and a JD from Yale. He teaches and writes in the areas of constitutional law, contracts, and the law of cyberspace. A Research manager approach focusing on Socially Optimal Invention levels. This is an interesting piece that merges legal policy choices with economic models. Joseph Miller - Are Erroneous Patent Denials Better than Erroneous Grants? Favorite quote: "patent attorney spiritual nihilism"
Brian's response: His discussion on the cost of Grants and denils looks very interesting. I am curious to see how the draft paper changes with the R&D input stating that the standards change may have little real world impact on how R&D money is spent. The Technology Industry has dramatically increased there pursuits of patents per research dollar. It is getting tougher to get major legislative change through due to the corporate interest, which leaves judicial reform as the path of least resistance for reforming the patent system. Although reform through the courts is not the long term solution. Brian's response: The paper uses statistics in a very useful way to empirically explore court findings. Robert argues that the patent law code will expand to look more like the copyright code. Specifically the legislative process will be used by cooperate interests to address case based issues expanding the code beyond its current limited focus and moving reform to the judicial as the code expands. The psychology talks were a lot more accessible to a general audience I strongly recommend watching them online even if not a lawyer or patent buff. The psychology panel added the perspective of how innovation or creativity occurs to the legal issues involved. There are definite discrepancies in the formulation of how a "person having ordinary skills in the art" is thought to invent by the court and how inventions are created. The most important part of the talk came in the Q & A, when we focused on whether economic incentives actually create innovation. The physiological data cited promoted the opposite thesis to the one promoted by the public policy arguments of the courts. The psychologist argued that paying for creativity resulted in less innovation and more mundane solutions to problems presented. Brian's Response: This was an excellent practical talk that focused on both creation and on what people think is creative. In the Q&A Keith focused on some of the broader issues regauring the legal fiction of how inventions are created and possible problems with the single inventor model. I will post a copy of his paper after LC publishes it. On a side note: Understanding what people perceive to be creative, based on word choice, could be a very important what explaining an invention to a jury. Colleen Seifert Now Why Didn't I Think of That? Colleen added some interesting points on how the court views innovation and invention verses how cognitive research views the same issues. Steven Smith did a great job of explaining and showing examples of how prior knowledge corrupts individuals ability to look at things from a neutral perspective. Note on formate change: Being an Information Science professional and Law Student I will only be posting play by play on the legal talks. I will be posting general impressions on the nonlegal talks that include multiple speakers. Overview: the focus was on the economic impact of patents in general and the specific impact of KSR. Highlights: KSR discourages investments in patents that could fill in a given technology landscape. Brian's response: I would question if there is any real harm from a standard that encourages less patents. Stern argues that it creates a "tax" which was not fully developed. I am very open to learning more about this it is just not obvious. I look forward to seeing a working paper or the final article. Solutions: private incentives to create should be based on how much you speed up progress or should be granted only to "Scarce" ideas. Brian's response: This idea helps limit patents in fast moving field like software. Another option would be to limit the length of patents in fast moving field. If it would come about naturally in 5 months why should we grant a 20 year patent. Rochelle C. Dreyfuss - Commenter on first panel. Solutions: patent rights are not a reward for inventors. Brian's response: Great commentary, Rochelle was willing to go head to head with the article writers on some of there assumptions and focused on the true reasons for patents getting inventions to the public. Overview: There are lots of problems relating to patents regarding pharmaceuticals. Many of the compounds are substantial similar to other patents making prior art review a questionable standard for patents. Highlights: The problem is that the pharmaceutical industry has a lot of obvious patents. There is an incentive to wait to release innovation until a competing drug is about to lose protection. Brian's response: dizzying array of issues related to pharmaceutical patents, I look forward to reading the final article. This talk was very interesting but a bit scattered. Interesting note(I learned a new term): Evergreen patent = pharmaceutical company tactics to extend patent protections. (Patently Abusive). Timing considerations should be more important. Why was it not invented earlier? it was lost, if no one invented it in the last 30 years was it really obvious? Brian's response: if there is no need then time extends, the prior v. prior prior prior art distinction could help a lot for fast moving industries like software. 1. What is the quantum of innovation necessary to satisfy section 103? 2. What is the baseline for a person of ordinary skill? 3. What are the time and resource limits for finding something obvious? Highlights: Curse of Knowledge – once someone has knowledge they are not able to view things from a their former ignorant perspective. Brian's response: These are line drawing problems, I am not sure probability adds definition, but it is an interesting idea. What if the music industry starts trolling? Given the $220,000 windfall that Capitol Records got yesterday, one wonders if their executives aren't taking a closer look at the "patent troll" business model. Companies like Intellectual Ventures are patent trolls. They create patents and sue others for infringing on them, while never bringing a single product to market. It would be entirely within the law for Capitol Records to do this as well. A litigation-only business model would relieve them of having to actually sell any of the music to which they have the rights. If they don't make it available to consumers at all, then they can focus their efforts on extracting $220,000 from every person who gets access to their songs. Sounds like a legal, profitable, easy plan! Right? Jammie Thomas owes $220,000. $9250 per song. It is sad and wrong and pathetic that our politicians have been bought off by the RIAA so many times that the legislation that has been building in favor of big business for centuries has come to this. We've had a reasonable coherent solution to this problem ever since William Fisher's Promises to Keep came out in 2004. The economics of recorded music are fairly simple. Marginal production costs are zero: Like software, it doesn’t cost anything to produce another digital copy that is just as good as the original as soon as the first copy exists, and anyone can create those copies. Unless effective legal (copyright), technical (DRM) or other artificial impediments to production can be created, simple economic theory dictates that the price of music, like its marginal cost, must also fall to zero. The evidence is unmistakable already. Unfortunately, they only discuss the concept of free as in gratis (free beer), not free as in libre (freedom). There are several artists who are eager to have others remix and build on their work, and many of them have released each individual track (drums, vocals, etc) in their song for free. Still, it's a step in the right direction! FFIP is taking a road Trip to attend Lewis and Clark's 2007 Fall Forum. This year's forum is on the nonobviousness requirement. This requirement is unique to patent law. It is the legal principle that reserves patent protection to technologically significant inventions; technologically trivial inventions, even if useful and new, are not patentable. The recent Supreme Court decision in KSR v. Teleflex, raised the bar for nonobviousness. Kevin Rivette Chairman of the USPTO Public Patent Advisory Committee. The talk and book signing at Third Place Books has been moved from October 27th to October 18th. The Elliot Bay event is still this Wednesday at 7:30pm, hope to see people there. PS: The book is under an all rights reserved copyright... although one chapter is available online at the wiki. http://www.upress.umn.edu/wiki/index.php/OurSpace One chapter is a small step in the right direction.